We at C3 Church Watch have already questioned if the typo in Phil Pringle’s book Top 10 Qualities of a Great Leader, was a typo or not. 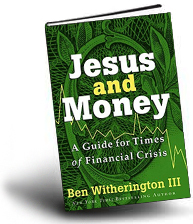 Does Phil Pringle Distort Church Statistics For Personal Gain? 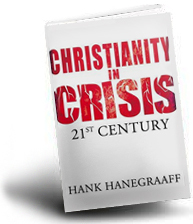 We have counted that he has 243 churches. Pringle updated his profile on his website last year, stating he ‘oversees the approximately 258 churches’, while in his services promotes he has ‘nearly five hundred’ churches in his movement. A commenter on C3 Church Watch has stated, ‘He [Phil Pringle] nearly always says it’s around 500’ (see comment section in the above link). 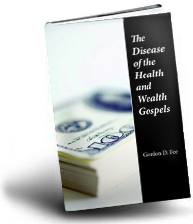 The School of Ministry, which trains ministers and develops powerful ministries. The School of Creative Arts, focusing in all disciplines of the arts. The Pastoral Care and Counseling College. 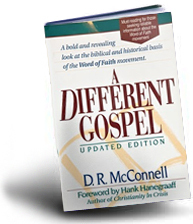 The International School of the Church, which trains pastors and teams to plant churches and take the Word of God to new levels of growth.” – Phil Pringle, Hope, About The Author, 2011. This information is not true. 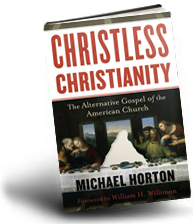 Previous articles have revealed that C3 does NOT have over 300 churches. What is also untrue is that NONE of his colleges offer courses that supply “baccalaureate degrees”. The last degree students finished at the end of 2009 and graduated in summer school, February 2010. The graduation ceremony was in April and May. C3 Colleges no longer were running any more degree classes onsite in 2010. Why? When I was involved at C3 Creative Arts College, C3 tried to establish an arts degree program. I was guaranteed that this was obtainable if I signed up for the arts degree program. They failed to get their program recognised. 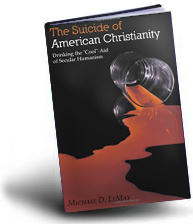 However, they resulted in supplying creative arts students a theology degree program. However, when the Sydney College of Divinity investigated C3 College’s conduct on their theology degree program, they found many problems. C3 were not to continue their theology degree program any more. I was with the last batch of students to obtain a degree from the C3 College. 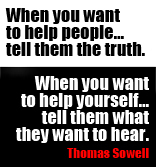 If none believe what I say, below is what the colleges offer. 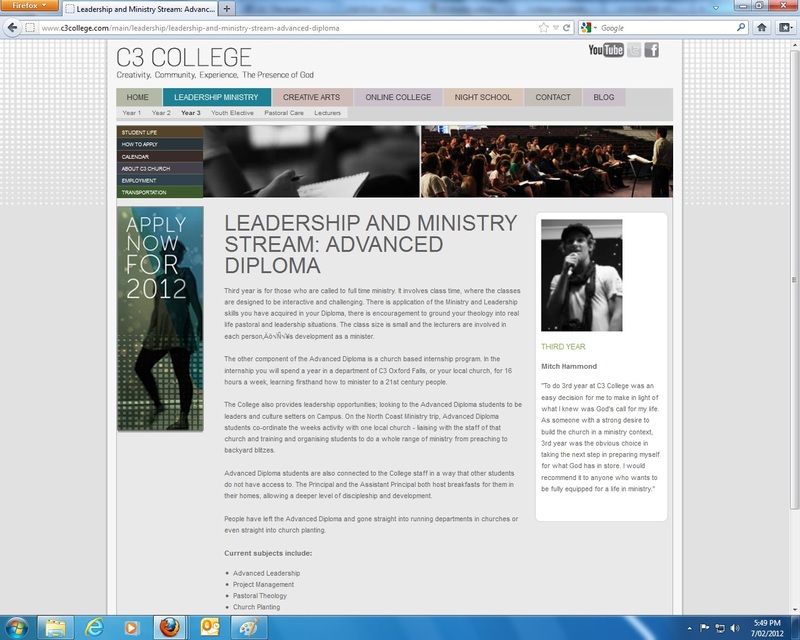 Check out their college website here: http://www.c3college.com/main/. You will find that none offer “baccalaureate degrees”. 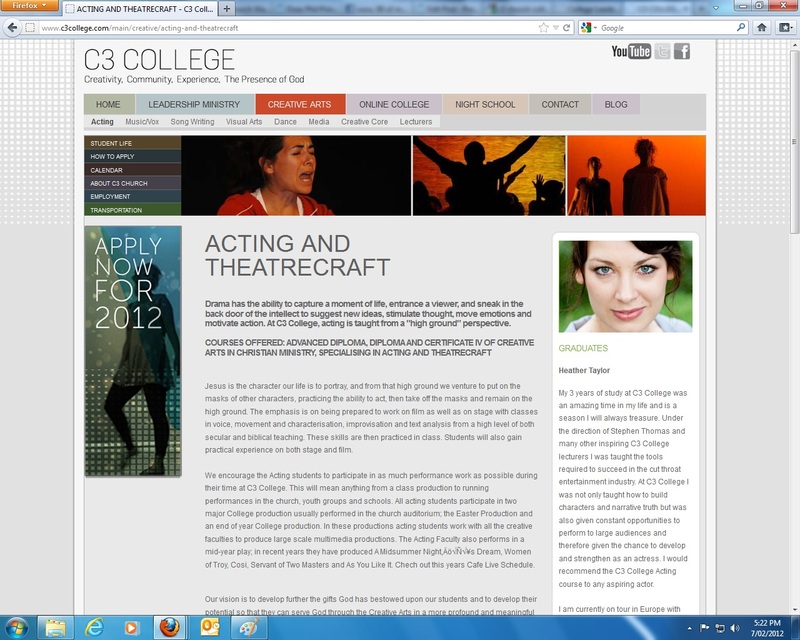 “COURSES OFFERED: ADVANCED DIPLOMA, DIPLOMA AND CERTIFICATE IV OF CREATIVE ARTS IN CHRISTIAN MINISTRY, SPECIALISING IN ACTING AND THEATRECRAFT” – C3 College, http://www.c3college.com/main/creative/acting-and-theatrecraft, (Accessed 07/02/2012). 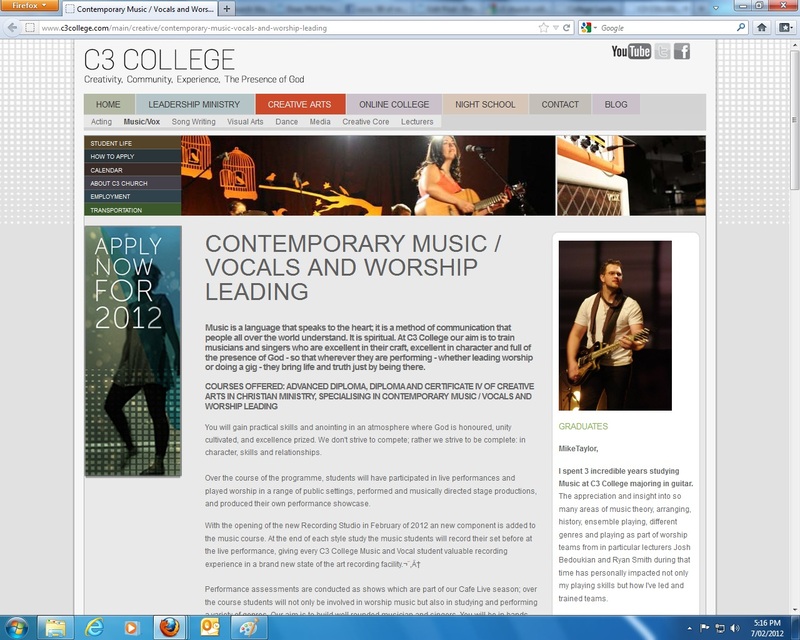 “COURSES OFFERED: ADVANCED DIPLOMA, DIPLOMA AND CERTIFICATE IV OF CREATIVE ARTS IN CHRISTIAN MINISTRY, SPECIALISING IN CONTEMPORARY MUSIC / VOCALS AND WORSHIP LEADING” – C3 College, http://www.c3college.com/main/creative/contemporary-music-vocals-and-worship-leading, (Accessed 07/02/2012). 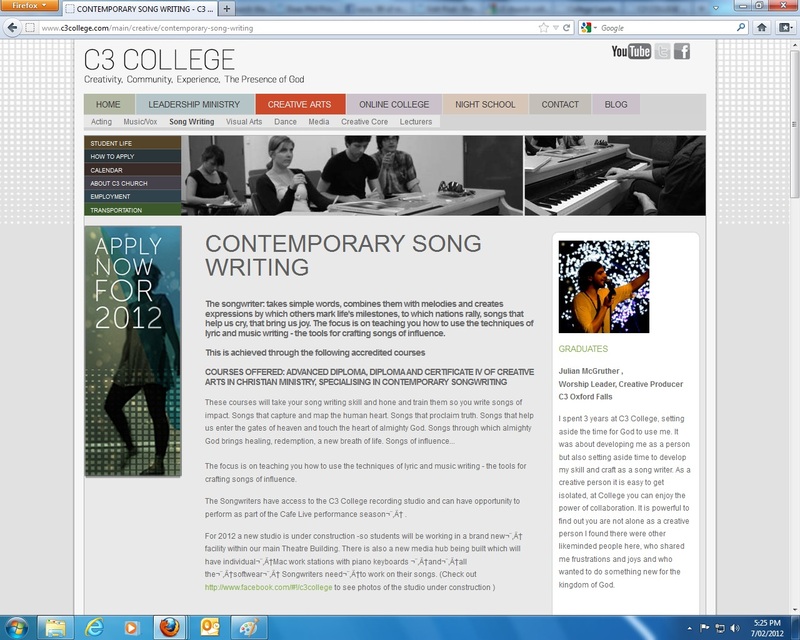 “COURSES OFFERED: ADVANCED DIPLOMA, DIPLOMA AND CERTIFICATE IV OF CREATIVE ARTS IN CHRISTIAN MINISTRY, SPECIALISING IN CONTEMPORARY SONGWRITING” – C3 College, http://www.c3college.com/main/creative/contemporary-song-writing, (Accessed 07/02/2012). 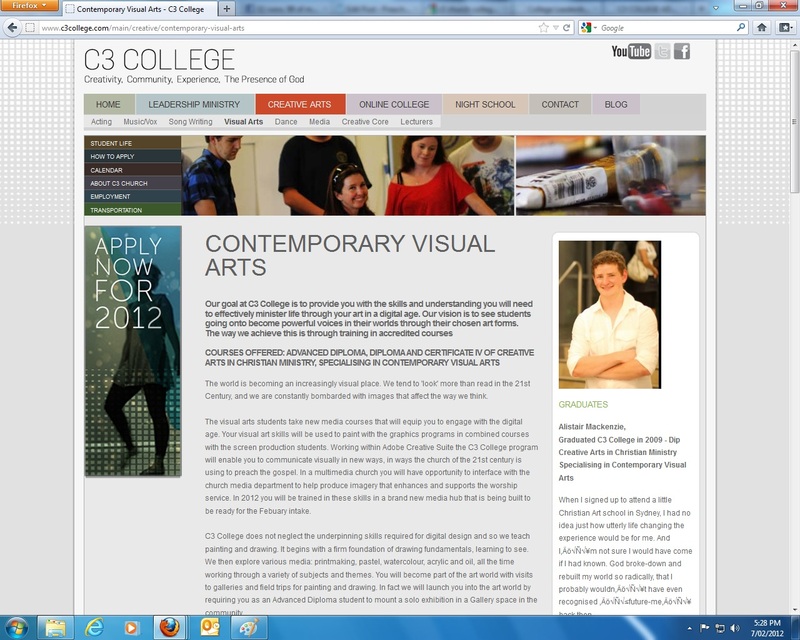 “COURSES OFFERED: ADVANCED DIPLOMA, DIPLOMA AND CERTIFICATE IV OF CREATIVE ARTS IN CHRISTIAN MINISTRY, SPECIALISING IN CONTEMPORARY VISUAL ARTS” – C3 College, http://www.c3college.com/main/creative/contemporary-visual-arts, (Accessed 07/02/2012). 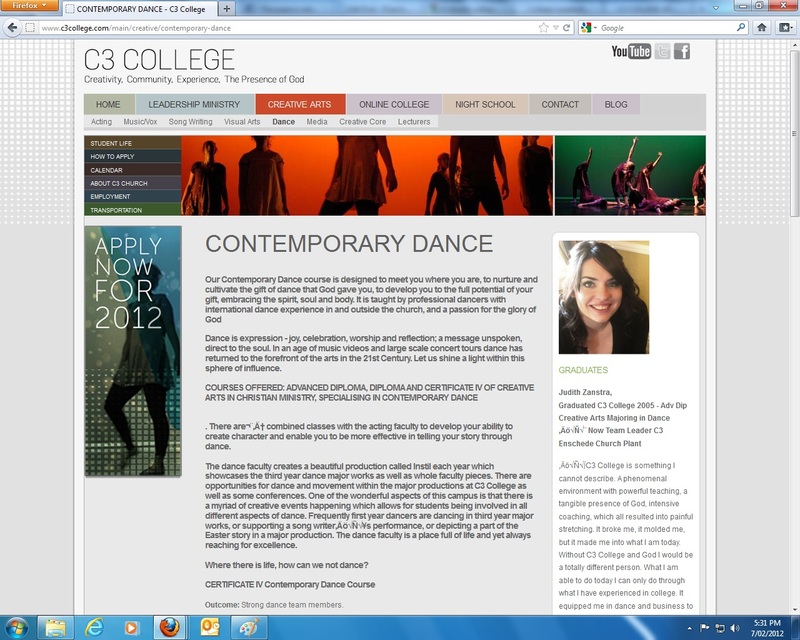 “COURSES OFFERED: ADVANCED DIPLOMA, DIPLOMA AND CERTIFICATE IV OF CREATIVE ARTS IN CHRISTIAN MINISTRY, SPECIALISING IN CONTEMPORARY DANCE” – C3 College, http://www.c3college.com/main/creative/contemporary-dance, (Accessed 07/02/2012). 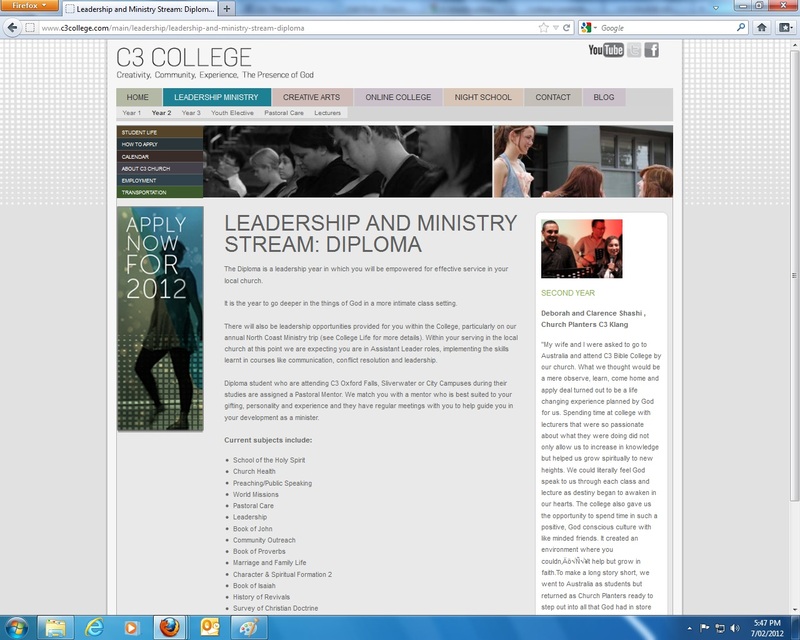 “COURSES OFFERED: ADVANCED DIPLOMA, DIPLOMA AND CERTIFICATE IV OF CREATIVE ARTS IN CHRISTIAN MINISTRY, SPECIALISING IN SCREEN PRODUCTION” – C3 College, http://www.c3college.com/main/creative/screen-production, (Accessed 07/02/2012). C3’s Creative College reveals their Creative Arts Core Program does not offer “baccalaureate degrees”. 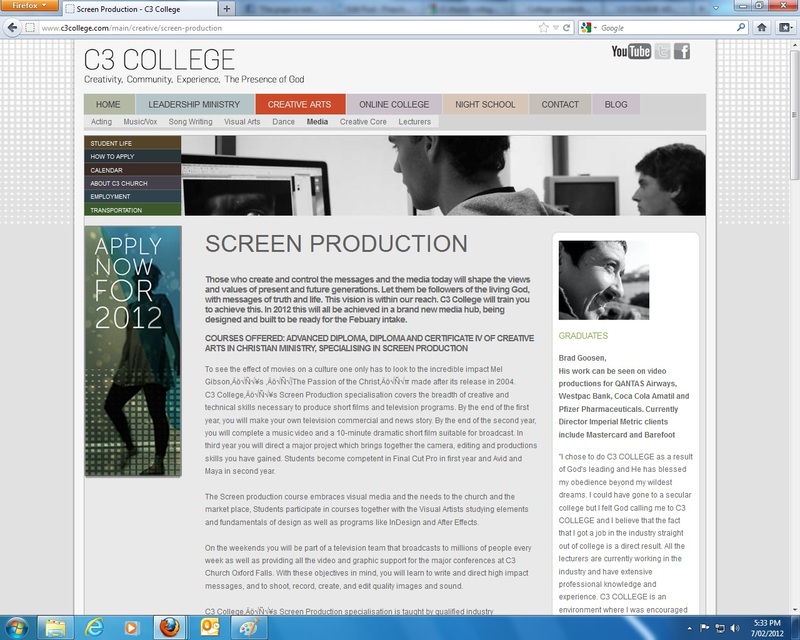 Theology and Film” – C3 College, http://www.c3college.com/main/creative/creative-arts-core-program, (Accessed 07/02/2012). The C3 College Creative Stream (aka SCA) does not offer “baccalaureate degrees”. The Leadership and Ministry Stream are no different. 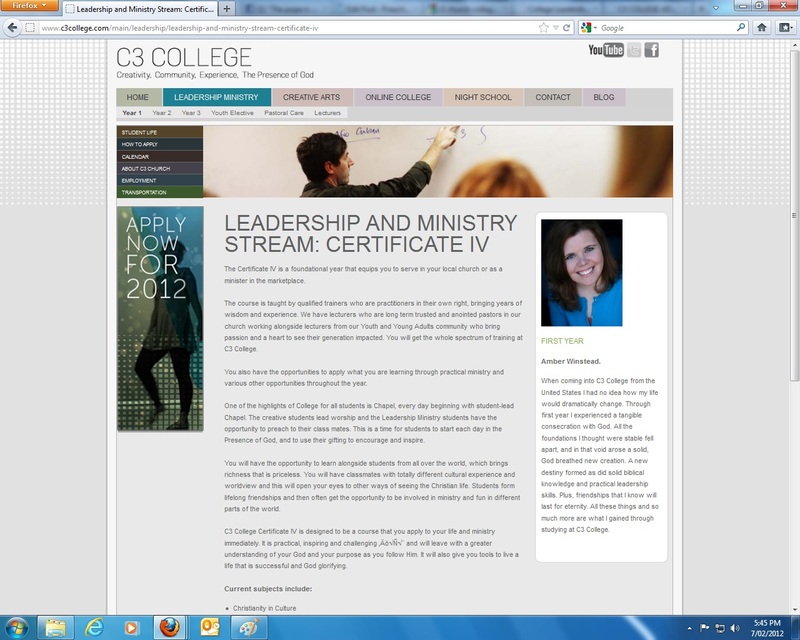 In Year 1, students get a Certificate IV in Leadership and Ministry courses. In Year 3, students get an Advanced Diploma. 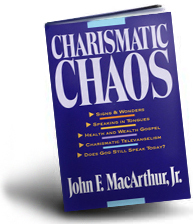 ‘Youth and Young Adults’ and ‘Pastoral Care’ is an elective within the Leadership and Ministry Stream. They do not offer “baccalaureate degrees”. His online college and night schools also offer no “baccalaureate degrees”. No information can be found here at Night School (http://www.c3college.com/main/home/night-school) or C3 College Online (http://c3collegeonline.com/). Therefore, we can conclude that Phil Pringle is misleading his readers into believing he offers quality education. “We are not a “theological college” though we teach theology, nor even a “bible college” per se, but a ministry training college where students learn biblically how to be effective in the work force of Jesus.” – Ministry Training College Prospectus, 1985, pg 2. C3 has a track record of inviting some of the worst Christian teachers to speak at their colleges which they consider to be “most gifted and experienced ministers“. If anyone has any information about the ISC, please email us at c3churchwatch@hotmail.com. We would like to look into this further if possible. b) School of Creative Arts “focusing in all disciplines of the arts”. c) The Pastoral Care and Counseling College. d) The International School of the Church. 2. 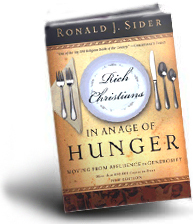 That he oversees 300 C3 Churches when facts reveal this not to be the case. It’s been more than a year for Pringle to know that his colleges do not run degree programs. 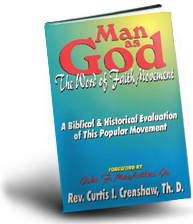 We have constantly demonstrated that Pringle is flippant with the truth about the number of churches in his movement for his own convenience. If this is not intentional, then Pringle needs to stop failing the high standard he sets in his C3 Movement. Pringle needs to explain why he misinforms readers about himself in his books. If you feel lead to pray for Phil Pringle and the C3 Movement, please do. Please pray for Phil Pringle to be an accountable and responsible leader.